Document a life you love! Organize your life in a stylish and sophisticated way. Customize your inserts with stickers and more! Part of the Additional planner products sold separately. 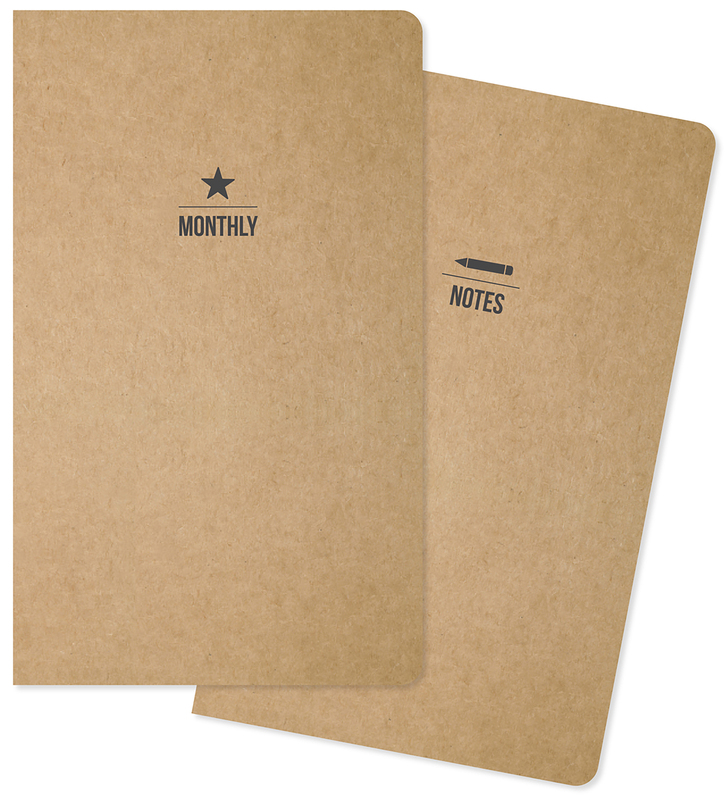 Contains two 24 page 5x8.25 inch notebooks, one lined and one monthly. Acid and lignin free.